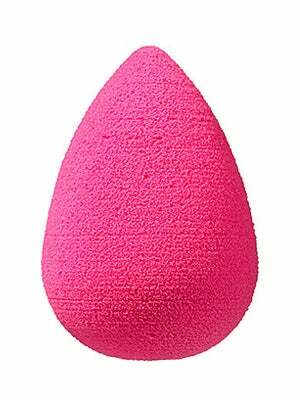 Chances are that you've seen — or used — this cult-classic, vaguely egg-shaped foundation sponge that's beloved by makeup novices and pros alike. But, did it ever occur to you whether you're using this tool properly, and getting the most out of your base application? To set the record straight on exactly how to use this confounding cosmetics tool, The Beauty Department has delivered with a detailed tutorial correct usage of your Beautyblender. The key? Start by completely saturating your sponge with water, then squeeze out the excess before applying. This ensures that your makeup will go on smooth, sheer, and natural every time. Beautyblender Makeup Sponge, $19.95, available at Sephora.